You are here: Home / Resident News / An update on the FREE Monthly Resident Events at Hirschfeld! An update on the FREE Monthly Resident Events at Hirschfeld! Free Monthly Events Update Living in a Hirschfeld Apartment Home has perks! At Hirschfeld, we like to give back to our residents and provide you with FREE events and contests in which you can interact with other residents and have a great time! Didn’t we tell you Apartment Living Rocks? Love going on Egg hunts? 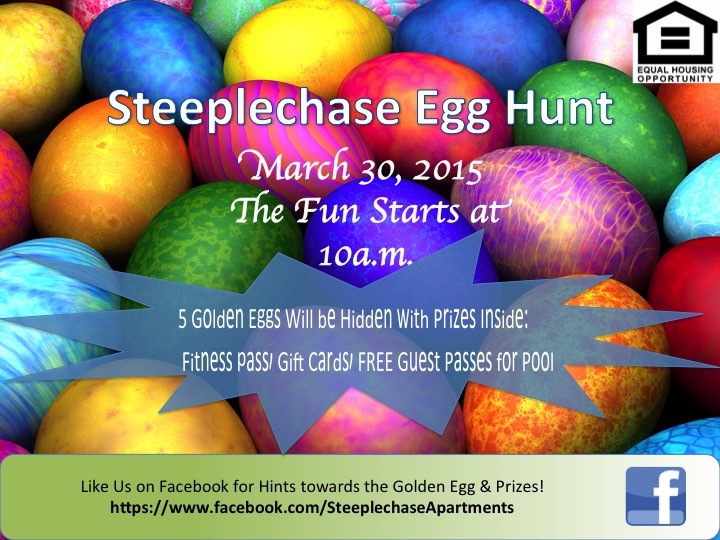 Then you will be happy to hear that Hirschfeld Apartment Homes annually hosts an Egg Hunt but it’s not your usual Egg filled candy egg hunt. We provide you with much more and the element of the surprise! We provide our residents with cool gift cards to various places so you will never know what you will get. Who said that Egg Hunts are just for kids? Is a swimming pool something you look for when you’re apartment hunting? Well look no further! 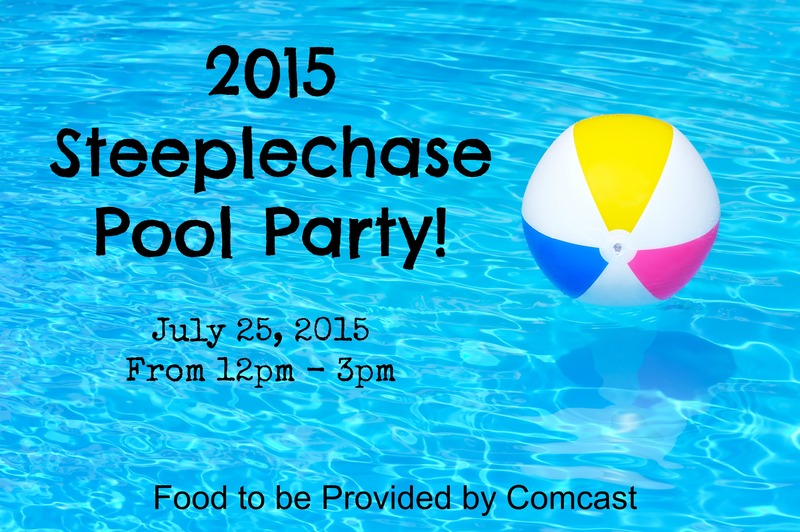 Hirschfeld Apartment Homes annually hosts a pool party for all of our residents, and it’s a blast! The best part about our apartment homes having a swimming pool? You don’t have to take care of the maintenance, we do that for you! All you have to do is sit back and relax! Hirschfeld Apartment Homes is pet-friendly so of course we have to host some FREE pet events for our residents with furry companions! 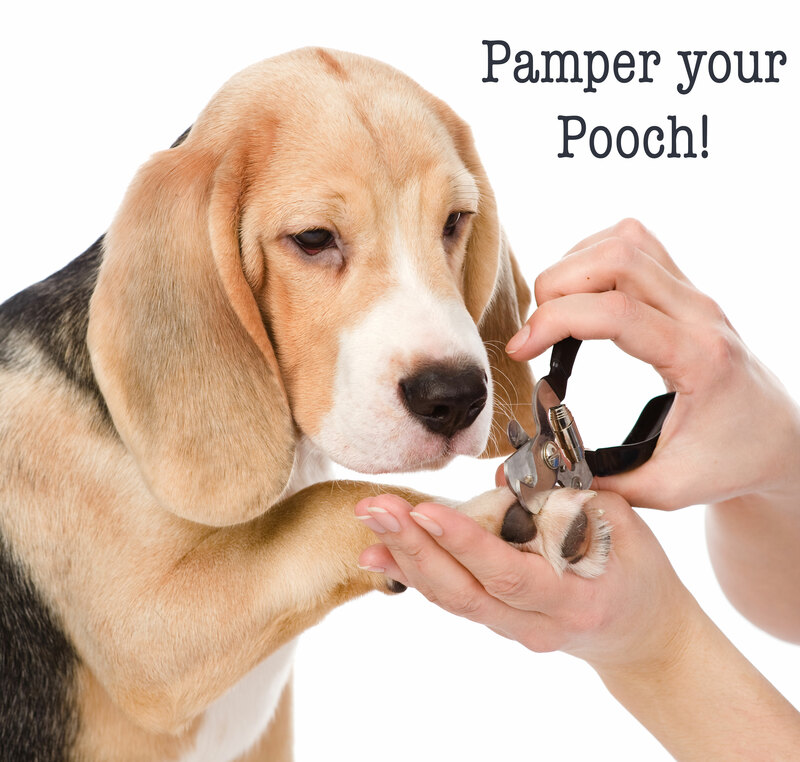 Your furry friends get pampering too when they live at Hirschfeld Apartment Homes. Steeplechase apartment homes had the pleasure of hosting a Pamper Your Pooch Event in which resident dogs received a FREE nail trim, a goodie bag, treats and a bandana. Hey! We try to make everyone happy, even your pets! When it’s all about hearts, roses and making that special person in your life feel loved on Valentine’s Day, Tall Oaks apartment homes sure knows how to help residents out. 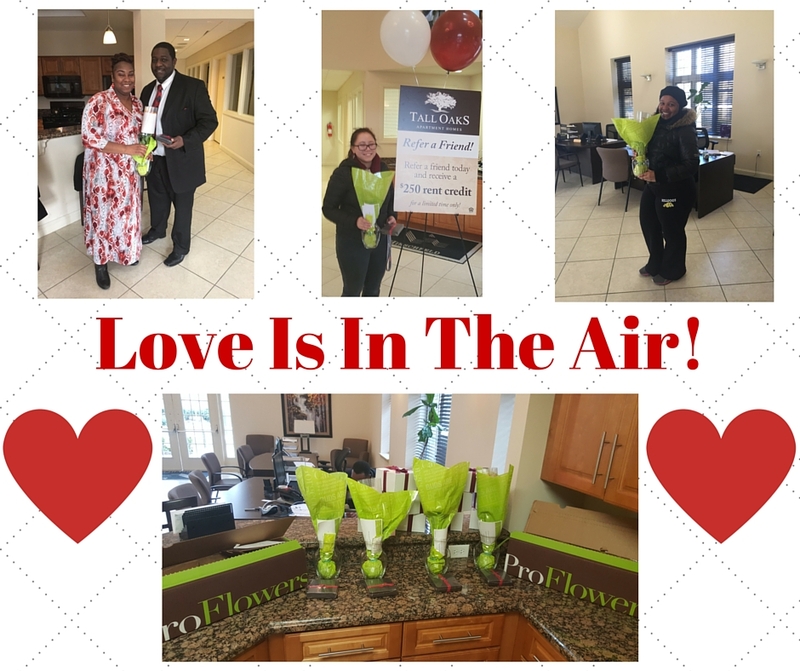 This year Tall Oaks hosted a FREE Roses Giveaway to four lucky residents, by entering the contest through Facebook or by signing up at the leasing office. Imagine getting a half a dozen red roses for Valentine’s Day! We have to say residents had a smile on their faces, just take a look! During the month of November, Tall Oaks apartment homes gave away FIVE FREE TURKEYS to residents who were picked at random. The best part? 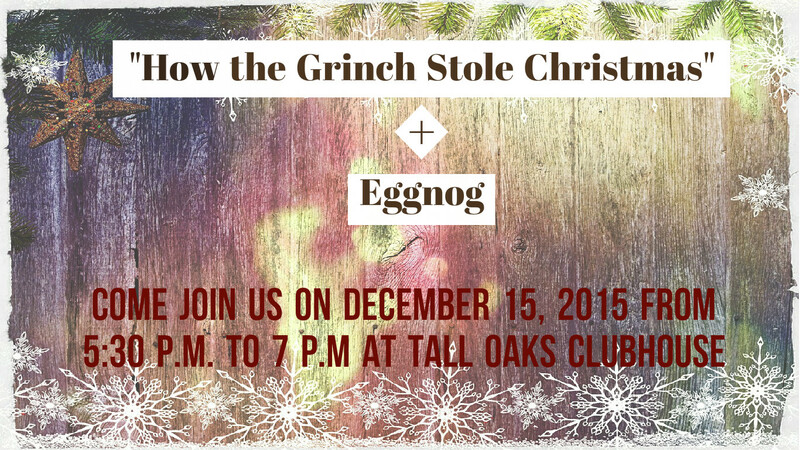 Residents didn’t have to do anything to enter this contest, every resident at Tall Oaks was automatically entered. 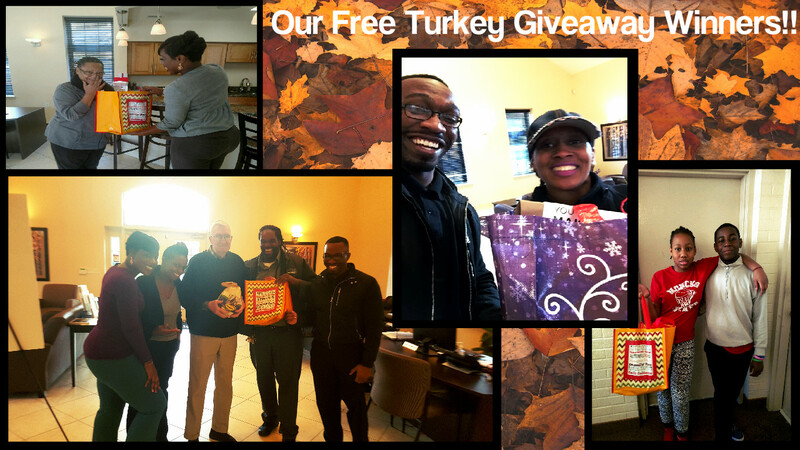 Then at random, five lucky residents got a knock at the door with their free turkey hand delivered to them! Talk about a surprise! 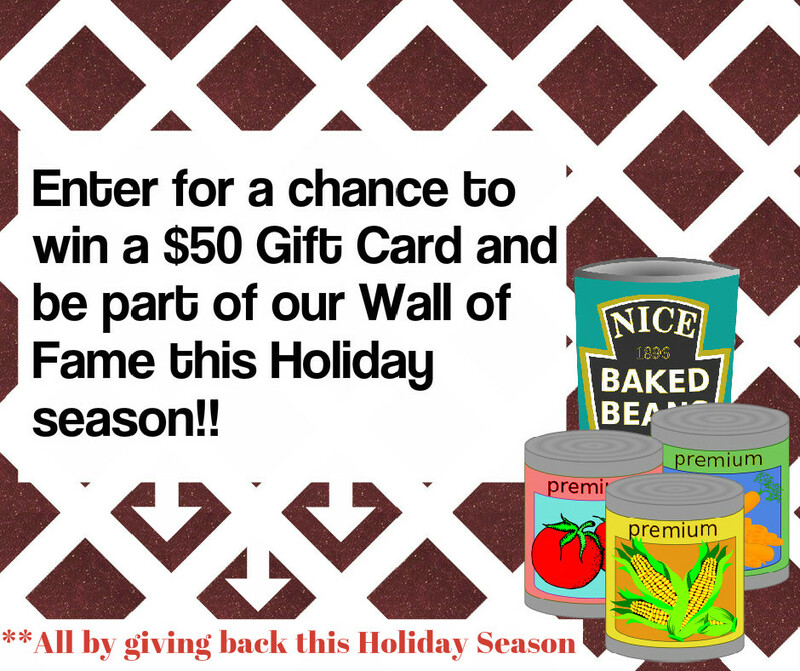 At our apartment homes in Cockeysville, MD residents were asked to donate five non-perishable items and for every donated item they were entered to win a $50 gift card! To show our appreciation of our residents’ willingness to give back, their names were placed on the Steeplechase Wall of Fame. Its slowly getting cold outside, there’s not a lot to do a nd sometimes you get bored. No worries! At Tall Oaks apartment homes we have movie night! This year in order to get into the holiday spirit the viewing included: “How the Grinch Stole Christmas” with eggnog! Um yes it is free and well who doesn’t like to watch a classic? Plus it’s family friendly! 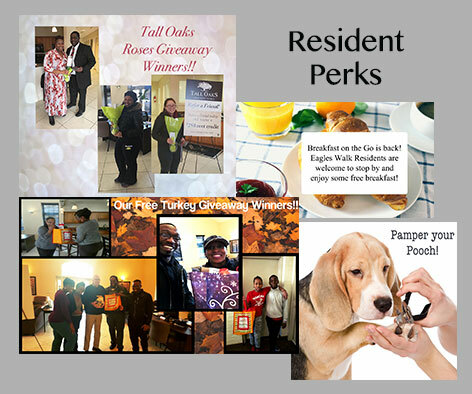 Eagles Walk apartment homes likes to involve our younger residents as well. 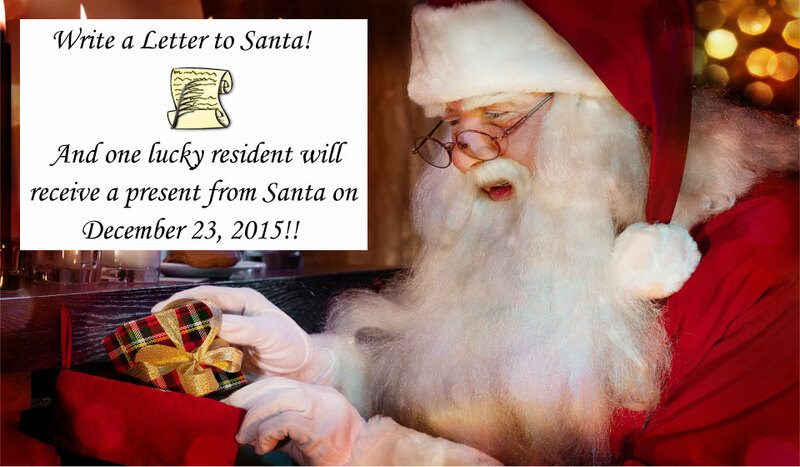 In December we hosted A Letter to Santa around Christmas time, in which kids are encouraged to submit a letter to Santa stating what they want for Christmas. One lucky winner will receive a present they asked for. That is amazing! A free gift! Do you love board games? If you do then you will love our game night at Tall Oaks apartment homes! 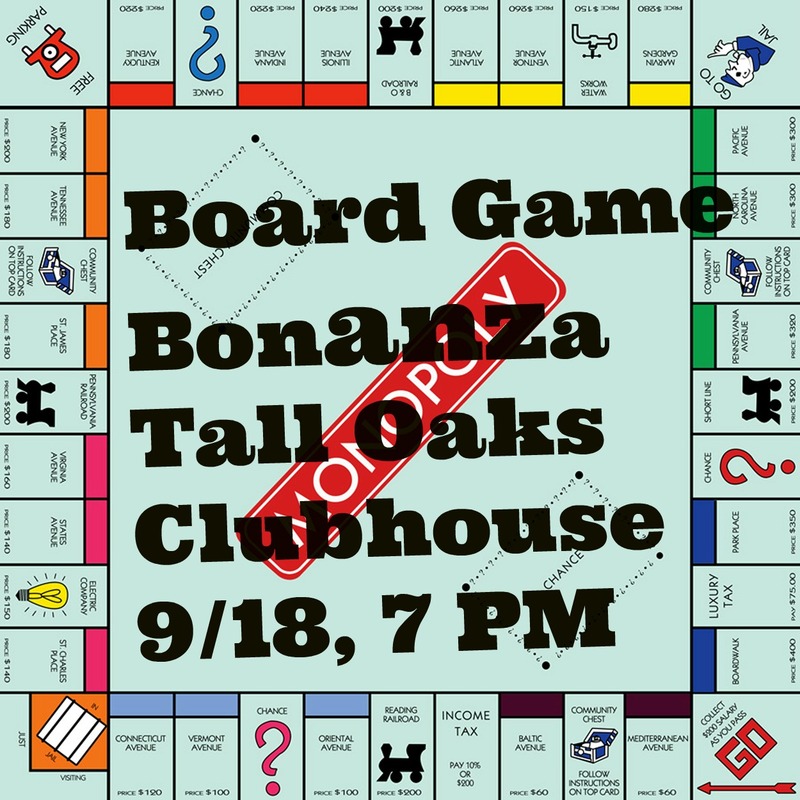 We all know that board games can sometimes get…competitive, but it’s all for fun! At Hirschfeld we host a game night for all of our residents to come and play games like card games, Monopoly, Trouble, Clue and more! We also offered refreshments to keep out residents cool and hydrated during intense games. 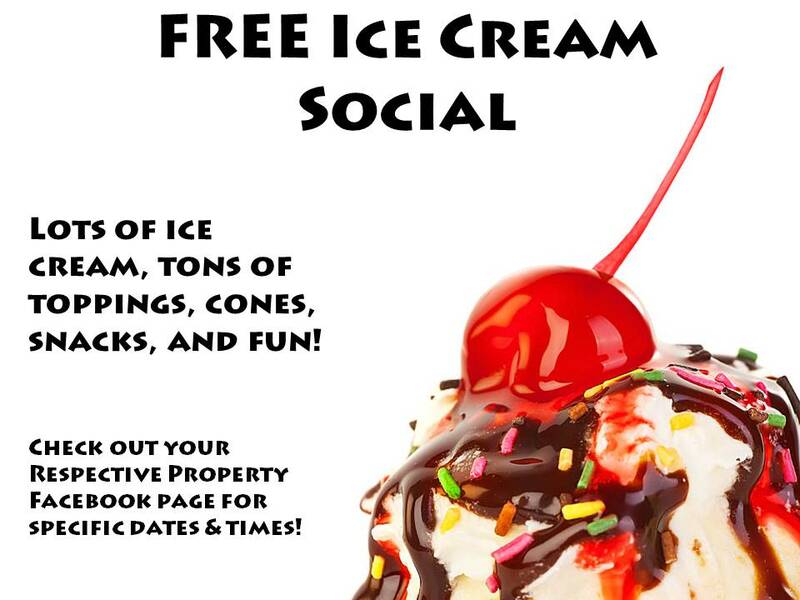 During the months of June, July and August, Hirschfeld hosts an ice cream social for our residents to enjoy some ice cream and have fun and mingle with other residents. For this event ice cream is served along with Music, Snacks & Chips. Now that sounds like a good time! There is no better way to start the fall seaso n like a fall festival! Yep a fall festival! We has hosted a Fall Festival at Tall Oaks to start off the season. That sounds like fun doesn’t it? (I hope you laughed to yourself and said yes) So what went down at this festival? Well let me tell you, we had pumpkins to decorate and a pie eating contest! As well as a best Halloween costume contest! It’s everything all at once! To further prove that Hirschfeld Apartment Homes is pet friendly, here is another pet event we hosted. Yes! Your furry companions and best friends are welcomed at Hirschfeld apartment homes. 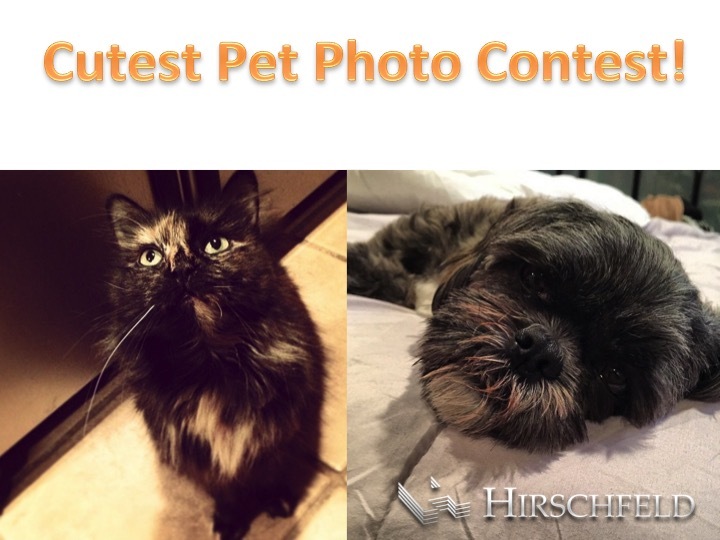 On top of that, we have previously hosted a cutest pet photo contest at Steeplechase! Yep! So that your pet can also be in included in our events and take part in how much fun apartment living can be. For this contest residents were asked to submit their pictures on Facebook and whoever got the most likes won a $50 gift card to PetSmart and a goodie bag. Who says residents get to have all the fun? Although most of our events can be fun and entertaining for our residents, we also like to provide events that can be informational and beneficial to them. 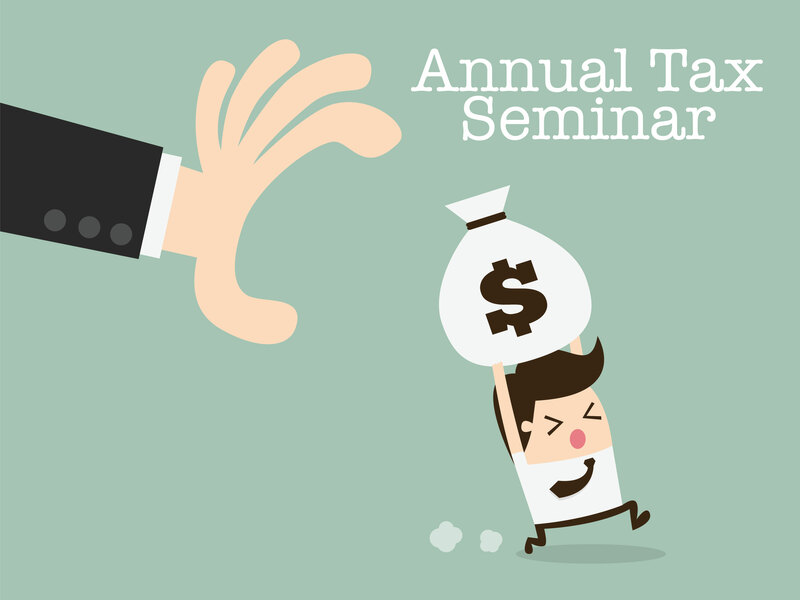 Tall Oaks apartment homes hosts an Annual Tax Seminar to let people know of any changes for tax season and how they can be prepared. It is a good resource that is offered to our residents, so that they can have a easier time doing their taxes and get the most out of their taxes as well. Those are a lot of events, and they do sound like a lot of fun so if you are looking for an apartment near Baltimore, MD check us out! Hirschfeld Apartment Homes loves to provide our residents with FREE monthly events to show them how much we appreciate them choosing us for a place to call home. So give us a try! Check out our site for all of our properties in the Baltimore area! Also check out our other Free Monthly Resident events blog. © 2019 Hirschfeld Properties LLC | Web Design Company - Infinite Media Corp.